How did you get into the car industry and what made you choose it? Phoenix is a family business, so I've been around and involved in the industry from a young age. What are the main benefits to being a woman in a male-dominated industry? I think there are always benefits in having the opportunity to stand out or be memorable. I'd also say that being underestimated can be a powerful motivator. Having to overcome preconceptions and pre-judgement, particularly early on, can give you an edge and a drive that becomes very useful. What do you think are the key misconceptions about your industry? 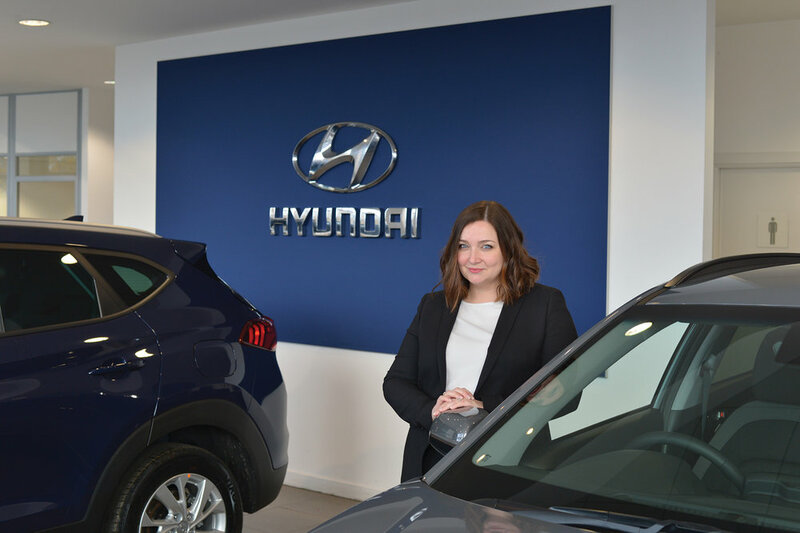 It's very common to feel intimidated by the thought of visiting a car showroom. There can be a fear of pushy salespeople, a lack of transparency, poor listening skills, or a lack of professionalism. But making such a big purchase should be an enjoyable, collaborative process. For good reasons, people often have their barriers up when we first meet them, but it's amazing being able to challenge misconceptions and build trust. I still get excited when I can leave someone with a much more positive opinion of the industry than I found them. What are the key things to consider when buying a second-hand car? With so much information readily available online now, it's easy to do research and comparisons, and to see photos, videos and real-life reviews. But that can also make it easier to fall down a rabbit hole and feel overwhelmed by the whole process. I would say the best thing you can do is write down a few points before you begin. Why are you changing car? What is most important to you in terms of economy, space and safety? Have these points on your wish list before you start. What is the history of the seller and the vehicle? What safety checks have been carried out and what warranty and roadside assistance is available? What are the long term running costs? Lastly, it's really important to feel comfortable with the environment, with who you're dealing with and the whole process. You're the customer, so you're in control. Don't put up with jargon or language that doesn't feel inclusive, and make sure you’re happy with the brand or business you're buying from. Don't ever feel rushed or embarrassed. A good salesperson should be able to answer all of your questions, or seek help from someone else to do so. We've had a lot of young graduates and trainees coming through the ranks over the years. Many of them are now leaders in the business. Customer feedback is one of the most useful things to help shape the industry going forward. And the more feedback you give, the more personalised the process can be for you. Most businesses now understand that with so much choice out there, you can go anywhere. You should be made to feel like a welcome guest, not an interruption. Be confident that they need you. It should be catered to you. Ask about any relevant services – a kids play area, accessible toilets, wheelchair or pram-friendly access, multi-lingual staff, anything that can make your life easier. At one point we had several different languages spoken within our team – Turkish, German, French, Spanish, Polish, Mandarin, Urdu and even Gaelic! It's always worth asking about anything that makes the experience less stressful. Women are great at building and utilising our networks. Ask for advice and recommendations from your group.